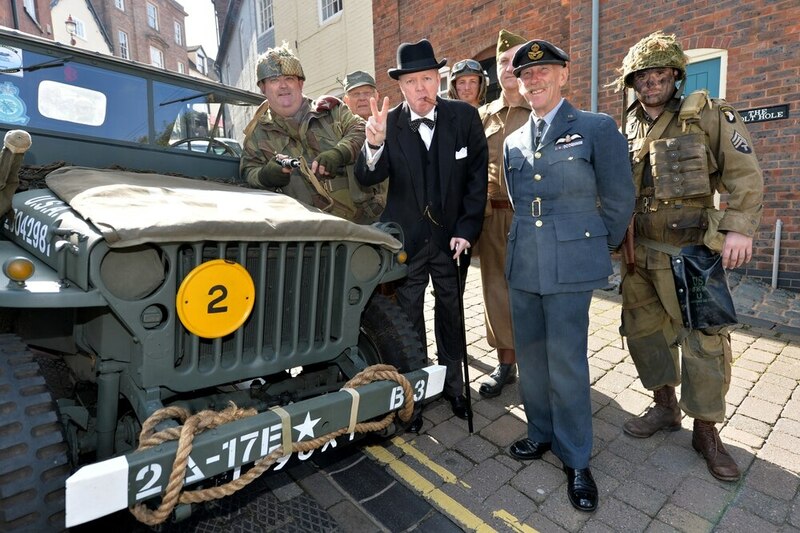 Organisers of a two-day nostalgia show in Ironbridge which raises funds for war veterans have attracted a grant of almost £2,000 to cover the cost. Thousands of people are expected to attend the popular Second World War themed event on May 25 and 26 in aid of the Pilgrim's Bandit Charity which supports military amputees. Now it has been given a £1,900 boost by Telford & Wrekin Council fund towards the cost of mobile toilets and an event marquee. Event chairman Dave Adams said: "The organising committee is indebted to T&W Council for their grant of £1,900 - which will go a long way towards enabling the event to happen. "Each year it costs more to stage the event and it is our intention to keep it free to attend if we possibly can. "Visitor welfare is high on our list of considerations and the number of portable toilets seem to need to be increased every year. "Preparations for the weekend are in full swing and we have a couple of pre-event activities starting with a 1940's swing dance on April 12 and a promotional 'pub crawl' around Ironbridge on May 5. "We hope to see many people there to help us raise funds to support a great cause." The spring dance on April 12 at 7pm is at Casey’s Cordingley Hall, in Wellington Road, Telford, with guests Ashby “Little” Big Band, playing Glenn Miller music and the Ronnies trio. Tickets costing £10 for this night are still available on the event's website ironbridgeww2weekend.co.uk or by phoning 07470 831484. On May 5 the fundraising three-mile walk to pubs and cafes in the Ironbridge area is at midday at the Golden Ball, in Newbridge Road.